Are you keeping up to date with the latest, hottest and the best online casinos? If not, make sure you check out this guide on a regular basis so you don’t miss out on the latest online casino offers added to CyberCasinoIndex.com. CyberCasinoIndex.com offer the best no deposit bonuses, free spin deals and high value welcome bonus packages from the safest and most trusted online casino brands on the planet. On this page you will be able to find the newest casino offers quick, easy and hassle-free! If you want to find out more about the brands listed on this page then just click on the “Casino Review”-link and you’ll find all the information you need! Welcome Bonus Offers: First Deposit Bonus of 100% up to £250! Novibet Casino was first launched in 2010 and they offer a great casino that house more than 1,000 games from providers such as NetEnt, Microgaming, Play’n GO, Yggdrasil and many others. Besides a terrific online casino, Novibet also offer sports betting and virtual sports betting. New members residing in the United Kingdom are able to claim a first deposit bonus of 100% up to £250. The wagering requirement is lower than usual, just x35, so one can understand why this casino is very popular brand in the UK. Novibet Casino is fully licensed by the UK Gambling Commission. Welcome Bonus Offers: 100% up to €500 + 200 Extra Spins in Eastern Goddesses! Wazamba Casino is a brand new casino that opened its doors in February 2019. They house a game portfolio with more than 3,000 games provided by vendors such as NetEnt, Play’n GO, Yggdrasil, Microgaming, BetSoft, ELK Studios and more. Players can play in the following currencies: EUR, NOK, CAD, PLN, RUB, HUF, TRY, CNY and JPY. New members can claim a first deposit bonus of 100% up to €500 + 200 extra spins in the great video slot Eastern Goddesses. Click here and visit Wazamba Casino and get 100% up to €500 + 200 Extra Spins! Registration Bonus: 10 No Deposit Spins in Book of Dead (not available for players in the UK and Sweden)! Welcome Bonus Offers: 100% up to £/€/$300 + 90 Bonus Spins! Casilando was launched in 2017 and is powered by the White Hat Gaming platform. The game catalogue house more than 1,000 games from multiple game vendors including NetEnt, Play’n GO, Microgaming, ELK Studios, Aristocrat, Thunderkick, NYX Gaming and many more. Players can enjoy video slots, live dealer games, card/tale games, video poker games and some of the highest paying online jackpot slots. New and eligible members that are located outside the UK and Sweden will get 10 no deposit spins in the Book of Dead video slots. All new players, including players residing in the UK and Sweden, are able to claim a first deposit bonus of 100% up to £/€/$300 + 90 bonus spins in the Book of Dead slot. Casilando is fully licensed in the UK, Sweden and the EU. Click here and become a member of Casilando and enjoy your Welcome Bonus! Registration Bonus: 20 No Deposit Spins in Starburst (UK) / Book of Dead (Germany, Sweden)! Welcome Bonus Offers: 100% up to £300 on First Deposit (UK), €1,200 + 200 Free Spins (Rest of the World)! Casumo is one of the most popular online casino in recent years and they offer an incredible catalogue of more than 1,400 games. The list of contributing game providers is very impressive, having gathered all the best titles from all the best vendors such as Play’n GO, Yggdrasil Gaming, IGT, Microgaming, NetEnt, ELK Studios, Quickspin, Barcrest, Thunderkick and many, many more. New and eligible players can enjoy a fantastic set of different welcome bonus packages that vary from one country to another. There are 20 No Deposit Spins available for players residing in the UK, Sweden and Germany so make sure to become a member! 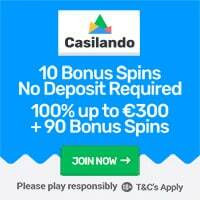 Click here and join Casumo and claim your 20 No Deposit Spins and much more! Welcome Bonus Offers: Welcome Bonus Package worth up to £500 + 100 Extra Spins (UK), Welcome Bonus Package worth up to €/$200 + 100 Extra Spins (Rest of the World)! Billion Casino was launched in late 2018 and is one of the latest brands from the Aspire Global platform. They house a great collection of more than 500 online video slots from a number of the best game vendors like NetEnt, Play’n GO, Microgaming, NYX Gaming and more, so there will definitely be a lot of great slots to enjoy at Billion Casino. New players residing in the UK are eligible for a welcome bonus package worth up to £500 + 100 Extra Spins, players residing elsewhere will get a welcome package worth up to €/$200 + 100 Extra Spins. Click here and sign up your account at Billion Casino and claim your Welcome Bonus Package! Welcome Bonus Offers: EXCLUSIVE First Deposit Bonus of 200% up to €/$500 + 100 Extra Spins! Powered by the Aspire Global platform and offering more than 500 casino games, Magic Red Casino is a great place for any player that loves to play the best online video slots from established vendors such as Play’n GO, Aristocrat, Betsoft, NetEnt, Microgaming and NextGen Gaming. What’s even better is the fact that we can offer an EXCLUSIVE first deposit bonus of 200% up to €/$500 + 100 extra spins in the fantastic Book of Dead video slot. Magic Red Casino is licensed and regulated in both the UK and EU. Click here and collect your EXCLUSIVE First Deposit Bonus of 200% up to €/$500 + 100 Extra Spins at Magic Red Casino! Welcome Bonus Offers: First Deposit Bonus of 100% up to €1,000 (10 000 NOK/1,000 CAD) + 100 Bonus Spins! Jonny Jackpot Casino is the latest brand from the very popular White Hat Gaming platform which have produced a number of top quality online casinos. This brand was launched at the end of 2018 and they deliver a great site, supported on all devices, with a fantastic collection of games that are provided by the top online casino vendors. Some of the contributing game producers are NetEnt, Microgaming, Play’n GO, Scientific Games, Thunderkick and NYX Gaming. New members of Jonny Jackpot Casino can claim a massive first deposit bonus of 100% up to €1,000 (10 000 NOK/1,000 CAD) + 100 bonus spins in the Starburst slot. The 100 bonus spins are credited upon the minimum deposit of just a meare €10, so this offer definitely hold a great value for any type of player! Click here and visit Jonny Jackpot Casino and claim your First Deposit Bonus! Welcome Bonus Offers: 100% up to £100 + 100 Wish Spins (UK), up to €250 + 50 Wish Spins (Finland), up to $250 + 100 Wish Spins (Canada/New Zealand) + much more! UK: First Deposit Bonus of 100% up to £100 + 100 Wish Spins! Finland: Welcome Bonus Package worth €250 + 50 Wish Spins! Germany: First Deposit Bonus of 100% up to €150 + 50 Wish Spins! Canada/New Zealand: Welcome Bonus Package worth up to $250 + 100 Wish Spins! Norway: Welcome Bonus Package worth up to 7000 NOK + 100 Wish Spins! Rest of the World: Welcome Bonus Package worth up to €200 + 50 Wish Spins! Click here and become a member of Wishmaker Casino and claim your Welcome Bonus Offer! Welcome Bonus Offers: Welcome Bonus Package worth up to €200 + 100 Free Spins! 1st deposit: 100% deposit match up to €100 + 50 Free Spins if you deposit €50 or more! 2nd deposit: 100% deposit match up to €100 + 50 Free Spins if you deposit €50 or more! Click here and join Twin Casino and collect your Welcome Bonus Package today! Welcome Bonus Offers: Welcome Bonus Package worth up to £/€850 + 50 Bonus Spins! 1st deposit: 200% deposit match up to £/€100 + 50 Bonus Spins in Starburst! Click here and check out Chelsea Palace Casino and claim a Welcome Bonus Package worth up to £/€850 + 50 Bonus Spins! Welcome Bonus Offers: Welcome Bonus Package worth up to £/€400 + 150 Bonus Spins! 1st deposit: 100% deposit match up to £/€100 + 50 bonus spins in Starburst! 2nd deposit: 100% deposit match up to £/€100 + 50 bonus spins in Starburst! 3rd deposit: 50% deposit match up to £/€200 + 50 bonus spins in Starburst! Click here and visit BlackSpins Casino and claim your Welcome Bonus Package! Welcome Bonus Offers: Welcome Bonus Package worth up to £/€/$300! Click here and become a member of Hyper Casino and get up to £/€/$300 in Welcome Bonuses! Welcome Bonus Offers: 100% up to €/£300 + 50 Extra Spins! TonyBet Casino was established in 2009 by the great and legendary poker player Tony G. This brand is housing a fantastic set of casino games from NetEnt, Microgaming, NYX Gaming and more. New players located in the UK will get 10 no deposit spins upon sign up! TonyBet Casino also offer a massive first deposit bonus of 100% up to €/£300 + 50 extra spins! Extra spins on deposit is only available for UK players! Click here and sign up at TonyBet Casino and claim your No Deposit Spins and more! Welcome Bonus Offers: 100% up to £/€100 + 3 Golden Wheel Spins on 1st Deposit, 50% up to £/€100 + MetCoins on 2nd Deposit! Deposit 1: Get 100% up to £/€100 + 3 Golden Wheel Spins! Deposit 2: Get 50% up to £/€100 + up to 666 MetCoins! Click here and visit Metal Casino and claim your Welcome Bonus Package! Welcome Bonus Offers: Win up to 500 Free Spins! RoseSlots Casino is a charming new brand from the Jumpman Gaming group of casinos. This brand is exclusively reserved for players residing in the United Kingdom only. RoseSlots Casino is powered by a great list of game vendors including NetEnt, Microgaming, Yggdrasil, ELK Studios and iSoftBet to name a few. New players can win up to 500 free spins on the Mega Reel once they made a first deposit of only £10. RoseSlots Casino offer a gigantic set of exciting casino promotions for players that just loves to play the best online video slots! Click here and become a member of RoseSlots Casino and win up to 500 Free Spins! Registration Bonus: 7 No Deposit Spins in 7 Sins slot! Welcome Bonus Offers: Up to £/€/$777 on each of your first 3 deposits! 1st deposit: 100% up to £/€/$777! 2nd deposit: 50% up to £/€/$777! 3rd deposit: 50% up to £/€/$777! Click here and join Untold Casino and claim your 7 No Deposit Spins and more! Welcome Bonus Offers: Welcome Package up to £/$/€500 + 50 free spins! Casimpo was launched in 2018 and is powered and operated by ProgressPlay Limited. At Casimpo, players can find all the casino games powered by the following games providers: NetEnt, Microgaming, 1X2 Gaming, Quickspin, Thunderkick, ELK Studios, Tom Horn Gaming, NextGen Gaming and many others including live dealer studios such as Evolution Gaming, NetEnt Live and Extreme Live Gaming. Casimpo is fully licensed in the UK and EU. First Deposit: 100% deposit match up to £/$/€250 + 50 Free Spins in Warlords: Crystals of Power! Second Deposit: 50% deposit match up to £/$/€100! Third Deposit: 100% deposit match up to £/$/€150! Click here and visit Casimpo and claim this Welcome Bonus Package! Welcome Bonus Offers: Up to €1000 (10,000sek/nok) + 100 Bonus Spins! SlotStrike Casino was launched in 2018 and is operated by the well known Group Nektan Limited. At SlotStrike, players can find over all the games powered by NetEnt, Microgaming, Big Time Gaming, Yggdrasil Gaming, ELK Studios, IGT, Scientific Games and many others including live dealer studios such as Evolution Gaming and Extreme Live Gaming. SlotStrike Casino is fully licensed in the UK and EU. 1st deposit: 200% deposit match up to £/€/$50 + 50 bonus spins in the Starburst video slot! Click here and visit Slot Strike Casino and claim your First Deposit Bonus! Welcome Bonus Offers: Up to €/$1,500 + 150 Zee Spins & 500 Zee Points! Playzee Casino was launched in 2018, and is fairly new, but it runs on WhiteHat Gaming platform which offers a vast variety of online casino games from the top games producers. New players from the United Kingdom and Sweden can claim 100% up to £300/3000kr + 100 Zee Spins in Starburst. 1st deposit – 100% up to €/$300 + 100 Zee Spins in Starbust + 500 Zee Points! 2nd deposit – 50% up to €/$500 + 25 Zee Spins in Gonzo’s Quest! 3rd deposit – 25% up to €/$700 + 25 Zee Spins in Reel Rush! Click here and visit Playee Casino and claim your First Deposit Bonus! Welcome Bonus Offers: 100% up to €1000 (10,000sek/nok) + 100 Bonus Spins! PlayGrand Casino was launched in 2015 and offer a gigantic collection of casino games from top-vendors such as NetEnt, Play’n GO, Microgaming and more. New and eligible players can claim a first deposit bonus of 100% up to €100 + 100 bonus spins which can be played in Starburst, Fruit Shop, Guns’n Roses, Jack and the Beanstalk or the Gonzo’s Quest. The minimum deposit is only €20. PlayGrand Casino is fully licensed in the UK, Sweden and EU. Click here and visit PlayGrand Casino and claim your First Deposit Bonus! Welcome Bonus Offers: First Deposit Bonus of 100% up to 5,000 kr/$500CAD + 500 Free Spins! Wagering Requirements: x25 Match Deposit Bonus. Winnings from free spins are paid out in real cash. Rolla Casino was launched in 2018 and uses IGC platform to operate their online casino platform. At Rolla, players can get seeral bonuses, including a 10% cashback on loses! The cashback only requires x1 wagering requirements! Rolla offers a vast selection of casino games from the following game providers NetEnt, Play n’ Go, Yggdrasil, IGT, NYX Gaming, NextGen Gaming, Scientific Games, ELK Studios, Thunderkick, MicroGaming and Evolution Gaming for those that like the live casino thrill. Click here to join Rolla Casino! Welcome Bonus Offers: 120 Free Spins in Starburst (UK), Welcome Bonus Package worth up to €/$500 + 120 (Canada, Germany)! UK players: Click here and get 120 Free Spins in the Starburst video slot on your First Deposit (bonus code: WELCOMEBONUS)! Canada players: Click here and get a Welcome Bonus Package worth up to €/$500 + 120 Free Spins (bonus code: WELCOMEBONUS)! German players: Click here and get a Welcome Bonus Package worth up to €500 + 120 Free Spins (bonus code: WELCOMEBONUS)! Registration Bonus: 10 No Deposit Spins in Irish Luck! Welcome Bonus Offers: €/£/$1,500 + 25 Free Spins Welcome Bonus Package! Click here and join Jackpot Fruity and get your 10 No Deposit Spins and more! Registration Bonus: 30 No Deposit Spins! Welcome Bonus Offers: 100% up to £400 + 50 Free Spins! Wink Slots is one of the most popular online casinos in the UK and Canada although they accept players from most countries (see restricted countries in the review). They offer a great set of games from several market-leading vendors such as NetEnt, IGT, WMS, Bally and SkillOnNet to name a few. New players will get 30 free spins on the house – no deposits required. The first deposit will be matched with 100% up to £400 and there’s an additional 50 free spins added to the first deposit bonus! Click here and collect your 30 No Deposit Spins and much more at Wink Slots! Registration Bonus: 10 No Deposit Spins in Foxin’ Wins! Welcome Bonus Offers: 100% up to £/$/€200 + 25 Bonus Spins on First Deposit! Dazzle Casino offer a great portfolio of casino games from game producers such as NetEnt, Microgaming, Scientific Games, ELK Studios, Nextgen Gaming and many more. New and eligible players will start their membership with 10 no deposit spins in the Foxin’ Wins (promo code: FOX10) video slot and continue with a first deposit bonus of 100% up to £/$/€200 + 25 bonus spins (promo code: SHA25). This dazzling online casino is licensed by the UK Gambling Commission and the Malta Gaming Authority. Click here and sign up your account at Dazzle Casino and get 10 No Deposit Spins and more! Welcome Bonus Offers: Up to 120 Volt Spins – No Wagering on Winnings! Wagering Requirements: No Wagering Requirements – Real Cash Added on Winnings! Volt Casino offer more than 500 well-selected casino games from the crème de la crème of game producers like Wazdan, NetEnt, Play’n GO, Microgaming and many more. This casino does NOT have any bonus wagering requirements which means that winnings from Volt Spins will be added in real cash immediately. New and eligible players can get up to 120 Volt Spins on their first deposit. Minimum deposit to claim this offer is £/€20. Volt Casino is licensed by the UK Gambling Commission and the Malta Gaming Authority. Click here and join Volt Casino and get up to 120 Volt Spins – No Wagering Requirements on Winnings! Welcome Bonus Offers: Up to 50 NetEnt Free Spins + 100% up to £/€/$200! NetBet Casino was launched in 2001 which makes them one of the most classic online gambling brands around. As a member of NetBet Casino you can enjoy several online gambling products such as Casino, Sports Betting, Poker and Lottery. NetBet Casino is powered by several game vendors such as NetEnt, Play’n GO, NextGen Gaming, Microgaming, ELK Studios and many more which will give players access to the most popular casino games on the planet. As a new member you will be able to get a welcome bonus package where you can claim up to 50 NetEnt free spins per week and a first deposit bonus of 100% up to £/€/$200! Click here and collect your Welcome Bonus Package at NetBet Casino! Welcome Bonus Offers: Welcome Bonus Package worth up to £/€200 + 100 Extra Spins! Karamba offer a great online casino and sports betting product and they have been a prime destination for casino players for more than a decade. The casino house several hundreds of top-quality casino games from vendors such as NetEnt, Play’n GO, Microgaming, Aristocrat, NextGen Gaming, Bally and many more. New members of Karamba can get a massive welcome bonus package worth up to £/€200 + 100 extra spins which is distributed on the first three days, and deposits, following your first deposit. Karamba holds gambling licenses in the UK, EU and Denmark. Click here and become a member of Karamba and get your Welcome Bonus Package! Registration Bonus: 21 No Deposit Spins (promo code: FW21)! Welcome Bonus Offers: Welcome Bonus Package worth up to £/$/€1,200 + 45 Bonus Spins! 1st deposit – 100% deposit match up to £/$/€200 + 10 spins in the Jimi Hendrix slot! 2nd deposit – 50% deposit match up to £/$/€400 + 15 spins in the Shangri La slot! 3rd deposit – 25% deposit match up to £/$/€600 + 20 spins in the Starburst slot! Casino Big Apple is licensed by the UK Gambling Commission and the Malta Gaming Authority. Click here and join Casino Big Apple and get 21 No Deposit Spins and more! Registration Bonus: 210 No Deposit Spins! Welcome Bonus Offers: Welcome Bonus Package worth up to €/$250! 21.com Casino was launched during the spring of 2018 and they offer an incredible welcome bonus of 210 No Deposit Free Spins for new and eligible players residing in Finland, Norway, Sweden, Austria, Canada, Iceland, Japan, Luxembourg, Malta, New Zealand and Switzerland! The 210 no deposit spins are distributed in batches of 10 spins per day for the first 21 days. The spins are available in the video slot game 7 Piggies. New players will also be able to enjoy a welcome bonus package worth up to €/$250 that cover the first 4 deposits the player make! Enjoy the best video slots from Play’n GO, Microgaming, Quickspin, Quickfire, Elk Studios and more! Click here and sign up at 21.com Casino and get 210 No Deposit Free Spins! Registration Bonus: 20 No Deposit Spins for Canada, New Zealand & Norway players! Welcome Bonus Offers: 100% up to €200 + 100 Free Spins (offer vary for different countries)! Dreamz Casino is one of the latest online casino brands that have been launched on the IGC platform (launched in August 2018). Dreamz Casino offer more than 1,300 casino games from a great list of different game vendors such as NetEnt, Play’n GO, Yggdrasil, BetSoft, Microgaming and many more. New players residing in Canada, New Zealand and Norway will get 20 free spins on a successful registration – no deposit needed! Dreamz Casino is licensed by the Malta Gaming Authority which means that UK players are not accepted at the moment. Click here and visit Dreamz Casino and collect 20 No Deposit Spins! Welcome Bonus Offers: up to 50 Free Spins + 30 Extra Spins – No Wager Needed! PlayOJO Casino deliver a REAL online casino experience where winnings are winnings and money is real. No wagering requirements or hard-to-read bonus terms; new members will get up to 50 free spins in the Book of Dead video slots on first deposit + the opportunity to claim another 30 extra spins. All winnings are WAGER FREE and paid out in real money. Don’t miss out on OJO’s Specials and much more. Play the best games from NetEnt, Play’n GO, Yggdrasil, Microgaming and many more! Click here and play for real at PlayOJO Casino! Welcome Bonus Offers: Up to £/$/€200 + 100 Bonus Spins! Do you want to feel like an online casino royalty? Well then, make sure you visit Regent Casino and get treated as one! This casino was launched in October of 2018 and is as hot as it gets! Enjoy the best games from Play’n GO, ELK Studios, Microgaming, Playtech, NetEnt, NYX Gaming and many more. Start with a welcome bonus package worth up to £/$/€200 + 100 bonus spins BUT check out the fantastic VIP Program as well. Regent Casino is licensed by the UK Gambling Commission and the Malta Gaming Authority. Click here and join Regent Casino and get treated as Royalty! Welcome Bonus Offers: Welcome Bonus Package worth up to £/$/€200 + 100 Bonus Spins! Mr Play Casino house an amazing collection of online video slots provided by an equally amazing combination of game vendors including NetEnt, Play’n GO, Microgaming, ELK Studios, Aristocrat and many more. New players can get a welcome bonus package worth up to £/$/€200 + 100 bonus spins. The welcome package cover your first three deposits. Mr Play Casino is fully licensed in the UK and EU. Click here and sign up your membership at Mr Play Casino and enjoy up to £/$/€200 + 100 Bonus Spins! Registration Bonus: 10 No Deposit Spins in Starburst! Welcome Bonus Offers: £/€/$500 + 50 Free Spins on Starburst Welcome Bonus Package! Touch Lucky Casino offer a great catalogue of casino games, powered by an impressive list of vendors such as Yggdrasil Gaming, IGT, Microgaming, NetEnt, Nektan, ELK Stusios, Scientific Games and Nextgen Gaming. They also have a live casino product that is powered by Evolution Gaming and Extreme Live Gaming. New players will receive 10 no deposit spins in the Starburst video slot as soon as your account has been registered. Bu there’s more, as a new real-money player you can claim a welcome bonus package worth up to £/€/$500 + 50 Bonus Spins. Click here and become a member of Touch Lucky Casino and get 10 No Deposit Spins in Starburst + more! Registration Bonus: 5 No Deposit Spins in Starburst! Welcome Bonus Offers: 100% up to £/$/€200 First Deposit Bonus! Spin Fiesta Casino is one of the most popular brands from the ProgressPlay Limited group of brands. They offer new and eligible players 5 no deposit spins in Starburst upon a successful account registration (Promo code: LUCK5). This is followed by a first deposit bonus of 100% up to £/$/€200. Spin Fiesta Casino is licensed in both the UK and EU. Click here and visit Spin Fiesta Casino and collect your 5 spins in Starburst – No Deposit Required! Welcome Bonus Offers: 100% up to £/€250! WinStar Online Casino is a brand new top-quality casino that offer everything and then some for all player types! This casino is powered by the GameAccount Network which includes the best games from NetEnt, IGT, Isoftbet and Scientific Games. They also have a great live casino product provided by Betgames.TV and NetEnt Live Casino. New members will get a first deposit bonus of 100% up to £/€250! Click here and join WinStar Online Casino and get a First Deposit Bonus worth 100% up to £/€250! Registration Bonus: 15 No Deposit Bonus Spins in Gonzo’s Quest! Welcome Bonus Offers: First Deposit Bonus of 100% up to £/€100 + 100 Bonus Spins! All British Casino provides an excellent online casino experience filled with great games and fantastic promotions. The catalogue of games includes the best titles from vendors such as NetEnt, Microgaming, Amatic, Thunderkick, Barcrest, Big Time Gaming, Evolution Gaming and many more. New and eligible players located in the UK, Ireland, New Zealand, India, Germany, Canada, Sweden, Norway, Finland and South Africa will get 15 bonus spins in NetEnt’s Gonzo’s Quest video slot – No Deposit Required. Your first deposit will be matched with 100% up to £/€100 but you will also get 100 more bonus spins. Click here and sign up your membership at All British Casino and get 15 No Deposit Spins in Gonzo’s Quest! Welcome Bonus Offers: Always 10% Cashback – No Wager Requirements! No Bonus Casino offer a unique player deal where you will receive a fixed 10% Cashback on your losses everyday. Your Cashback is paid out in real cash that you can withdraw or use for play – No Wagering Requirements. No Bonus Casino house more than 500 casino games provided by NetEnt, Microgaming, Amatic, Yggdrasil and Evolution Gaming. They are licensed by the UK Gambling Commission and the Malta Gaming Authority! Click here and become a member of No Bonus Casino and ALWAYS get 10% Cashback! Registration Bonus: 25 Spins in Starburst – No Deposit Needed! Welcome Bonus Offers: 100% up to £/€/$150 + 50 Free Spins! SlottyVegas Casino opened its doors in 2014. The house an impressive collection of top-quality games from a long list of fantastic game producers including NetEnt, ELK Studios, Quickspin, Microgaming, Leander Games, Nextgen Gaming and 1X2 Gaming just to name a few. SlottyVegas Casino welcomes new and eligible players with 25 no deposit spin in the very popular video slot Starburst. Members are spoiled with bonus promotions at SlottyVegas Casino, your first deposit will be matched with 100% up to £/€/$150 and you will get an additional batch of 50 free spins in Starburst. Click here and collect your 25 No Deposit Spins in Starburst at SlottyVegas Casino! Registration Bonus: 25 No Deposit Spins in Starburst! Welcome Bonus Offers: 100% First Deposit Bonus up to £/€/$150 + 50 Free Spins in Starburst! BetAt Casino was launched in 2011 and has been a very popular online casino among players ever since. They offer a great game platform where players can play the best games from some of the best game vendors such as NetEnt, Microgaming, Big Time Gaming, ELK Studios, Quickspin, Leander Games, Nextgen Gaming and 1X2 Gaming to name a few. New and eligible members will get 25 spins in Starburst immediately upon registration – no deposit required! Players can also get a great first deposit bonus of 100% up to £/€/$150 + 50 free spins in Starburst. Click here and join BetAt Casino and collect your 25 No Deposit Spins and more! Registration Bonus: 20 No Deposit Spins in Gonzo’s Quest! Welcome Bonus Offers: 100% up to £25 (UK), 200% First Deposit Match (Finland), 300% up to 800 SEK (Sweden) + more! Mobilebet is the sure choice for players that want to experience the best online casino action on all possible devices. The catalogue of games house close to 1,000 titles, 800 of these are online video slots provided by Yggdrasil, Play’n GO, NetEnt, Betsoft, Microgaming and many more. Mobilebet also have an impressive collection of jackpot slots where players can win multi-million jackpots on classics such as Mega Moolah, Mega Fortune, Hall of Gods and Arabian Nights. Click here and collect your 20 Casino Spins in Gonzo’s Quest at Mobilebet – No Deposit Required! Welcome Bonus Offers: Spin and Win up to 500 Free Spins, 100% up to €25 (Germany & Dach players), 100% up to 3000 SEK (Swedish players), 100% up to $500 (Japanese players)! CherryCasino was launched in 2000 and is one of the leading brands in the online community, especially in markets such as Sweden, Norway, Finland, Germany and Austria. The game platform house more than 800 top-quality games provided by an impressive list of game producers including Yggdrasil, Play’n GO, NetEnt, Microgaming, Playtech and Thunderkick to name a few. New players are welcome with country specific welcome offers. CherryCasino is the perfect casino for players residing in Germany, Austria and Scandinavia. Click here and sign up your account at CherryCasino and claim your Welcome Bonuses! Registration Bonus: 25 No Deposit Casino Spins in Starburst! Welcome Bonus Offers: 100% up to £100 (UK players), 200% up to 1000 SEK + 100 Free Spins (Swedish players), 100% up to €100 (Players residing elsewhere)! Get Lucky Casino is one of the most popular online casinos in the UK, Germany, Scandinavia and Finland. They house a great collections of games provided by vendors like Yggdrasil, Play’n GO, NetEnt, BetSoft, Thunderkick, Microgaming and many more. New and eligible players located in the UK, Norway, Germany, Sweden, Switzerland and Austria will get 25 spins in Starburst on the house – no deposit required! They also offer high-value welcome bonus offers such as the UK first deposit bonus of 100% up to £100 and the 200% first deposit match up to 1000 SEK + 100 free spins for Swedish players. Click here and get your 25 No Deposit Spins at Get Lucky Casino! Welcome Bonus Offers: Germany & Austria: Deposit €10 – Play With €50 + 30 Wager Free Cash Spins, Rest of the World: 100% up to €100 + 30 Wager Free Cash Spins! Wunderino Casino offer more than 1,200 top-quality casino games from NetEnt, Play’n GO, Yggdrasil, Scientific Games and many more. New and eligible players will get massive welcome bonuses with added Wager Free Casino Spins! Deposit 1: Deposit €10 – Play With €50 + 30 Wager Free Cash Spins (400% deposit match!!!)! Deposit 2: Get a 100% Deposit Bonus Match up to €200! Deposit 3: Get a 50% Deposit Bonus Match up to €500! Players located in Japan: First Deposit Bonus of 200% up to €/$200 + 30 Wager Free Cash Spins! Norwegian players: Get a First Deposit Bonus of 150% up to €100 + 30 Wager Free Cash Spins! Players residing in Finland, Sweden & Rest Of the World: Get a First Deposit Bonus of 100% up to €100/1000 SEK + 30 Wager Free Cash Spins! Click here and join Wunderino Casino and claim your Welcome Bonus Offer! Welcome Bonus Offers: 100% up to £200 (UK), 100% up to 5000 NOK + 50 Free Spins (Norway), 1000 SEK + 50 Free Spins (Sweden)! FansBet is “About Fans, By Fans, For Fans”! They offer a top-rated online gambling product where players can enjoy sports betting, online casino and fantasy sports. FansBet Casino house more than 1,500 top-quality casino games provided by a great collection of game providers including NetEnt, NYX Gaming, Play’n GO, Microgaming, Betsoft and Yggdrasil Gaming. They also offer a great live dealer casino with games provided by Evolution Gaming and Extreme Live Gaming. Click here and visit FansBet Casino and claim your Welcome Bonus Offers! Welcome Bonus Offers: 100% up to £/€/$200 + 50 Extra Spins on First Deposit! Play Club is one of the latest online casinos from the Aspire Global group of brands. This brand have collected the best video slots and casino games from a large number of market-leading vendors including Isoftbet, Play’n GO, NetEnt, NYX Gaming, Microgaming. Play Club also offer a live-dealer platform provided by Evolution Gaming. New and eligible members will get a first deposit bonus of 100% up to £/€/$200 + 50 extra spins. On the second and third deposit, you will get 40 more extra spins each. Click here and visit Play Club and get a First Deposit Bonus of 100% up to £/€/$200 + 50 Extra Spins! Registration Bonus: 10 No Deposit Spins on Registration! Welcome Bonus Offers: 200% First Deposit Match Bonus (Bonus Code: 200MATCH)! Trada Casino was launched in 2014 and has quickly become a favorite destination for online casino players. They offer a great set of fun and exciting player promotions that starts with 10 no deposit spins in the Wolf Gold video slot that players will get as soon as they’ve completed a successful account registration. But what’s even better is that you will get a 200% bonus match on your first deposit which means that this bonus will triple the first deposit amount. Trada Casino house an impressive collection of more than 1,500 casino games where the larger part is online video slots from game producers like 1X2 Gaming, NetEnt, Microgaming, Playson and Isoftbet. Click here and collect your 10 Spins in the Wolf Gold video slot at Trada Casino – No Deposit Needed! Registration Bonus: 10 No Deposit Spins! Wagering Requirements: No Wager Requirements on Winnings! Welcome Bonus Offers: Deposit £/€/$10 get 100 Casino Spins! BGO Casino is offering the most generous online casino offers on the planet; 10 No Deposit Spins without ANY wagering requirements on winnings! Upon your first deposit, you will get another 100 casino spins and there’s no wager requirements on winnings from these 100 spins either! BGO Casino’s games catalogue includes the best casino games from NetEnt, Playtech, IGT, Endemol Games, Williams Interactive, Bally Technologies and Nextgen Gaming! Click here and collect 10 No Deposit Spins without Wagering Requirements at BGO Casino! Registration Bonus: 20 Free Spins in Aloha! Cluster Pays – No Deposit Required! Welcome Bonus Offers: 100% up to €100 + 100 Free Spins! Cashmio is one of the most popular “gamification” casinos that came about a few years ago (Cashmio was launched in 2015). They offer a great online casino product that includes great games, fantastic player promotions and avatar stories. The brand is powered by Yggdrasil Gaming, Betsoft, Microgaming, NetEnt, ELK Stusios, NYX Gaming and many more. New and eligible players located in Austria, Finland, Netherlands, New Zealand, Norway, Switzerland, Malta and Sweden will get 20 free spins in Aloha! Cluster Pays when they sign up their account – No Deposit Needed. This is followed by a set of very specific welcome bonuses that vary from one country to another including the UK first deposit offer that will land players residing in the UK 150 Happy Spins for a minimum deposit. Click here and sign up at Cashmio and collect your Welcome Bonuses! Registration Bonus: 15 No Deposit Free Spins in Butterfly Staxx (Bonus code: BUTTERFLY15)! Welcome Bonus Offers: EXCLUSIVE First Deposit Bonus of 150% up to £/€300 + 50 Free Spins (Bonus code: JOKERPRO300)! Players residing in United Kingdom, Canada, Austria, Finland, Germany, Norway, Ireland, Netherlands, New Zealand, Sweden or Switzerland will get 15 welcome spins in Butterfly Staxx when they register their account with the bonus code: BUTTERFLY15 – No Deposit Required! This is a risk-free way of trying one of the best online casinos on the market. WixStars Casino loaded with the best casino games from vendors such as Play’n GO, Aristocrat, Amaya, Quickfire, Microgaming, NetEnt, Quickspin, Barcrest and Thunderkick to name but a few. Class 1 online gambling! Click here and collect your 15 No Deposit Spins and more as a new member of WixStars Casino! Registration Bonus: 77 Slot Spins – No Deposit Required! Welcome Bonus Offers: Up to £/€/$1,500 Bonus on 5 Deposits! 777 Casino is part of the 888 Group of online gambling brands which includes some of the oldest and most trusted gambling brands on the planet. 777 Casino is powered by a great game platform that house several top vendors such as 888, Ash Gaming, Williams Interactive, Nextgen Gaming, NetEnt, Playtech, IGT and Cryptologic to name a just a few. New and eligible players will get 77 slot spins upon a successful account registration – no deposit required. This is followed by a massive welcome bonus package worth up to £/€/$1,500 that cover your first five deposits. Click here and join 777 Casino and get your 77 No Deposit Spins + more! Registration Bonus: 50 No Deposit Spins for New Customers! Welcome Bonus Offers: Multiple Welcome Deposit Offer Options: 3 Options on your first 5 Deposits! Casino Room has been serving a top-quality online casino product since 2005 and they keep on developing their platform! Members of Casino Room have access to more than 1,000 casino games from the best game developers in the industry including NetEnt, BetSoft, Microgaming, Play’n GO, Yggdrasil, Aristocrat and many more. New and eligible members of Casino Room will get 50 casino spins in the house – no deposit needed! The massive welcome bonus package will allow players three bonus options on their first FIVE deposits! Casino Room is supported on all digital devices. Click here and become a member of Casino Room and collect your 50 No Deposit Spins and more! Choosing a new online casino is not always the easiest thing to do. Besides a catchy brand name, fantastic website design and generous casino bonus offers, there are a few vital things to look out for when signing up as a member of an online casino and even more; when depositing real money to a new and unknown casino. The first thing to look out for when choosing your new online casino is by which jurisdictions the casino is licensed by and therefore allowed to offer online gambling to the public audience? Unfortunately, there are some online casinos that does NOT publish their gambling license, or link to their license certificate on their website. The licenses are usually displayed in the footer of the casino sites and should link to the official website of the licensing jurisdiction. If you should come across a casino that doesn’t have this information available – avoid it! Online casinos without a proper license from serious jurisdictions are not trustworthy and will never be promoted on CyberCasinoIndex.com. The second thing to look out for is the terms and conditions. If the terms and conditions are hard to find when you’re looking at a new online casino, then there might be some odd terms they are trying to hide. All serious casinos display their terms and conditions clearly. However, that doesn’t mean that you shouldn’t read them. Some online casinos have a maximum withdrawal limit per month and other types of limitations so make sure you read the terms and conditions before you commit and deposit your money. The third matter is the payment methods, transaction fees, cashout time and payment security systems (encryption technology). When checking a casino, make sure that the most common payment methods are available such a Visa, Mastercard, Neteller, Moneybookers Skrill, Direct/Instant Bank Transfers etc. Usually, this is on full display with a dedicated banking page on the casino site where transaction fees, withdrawal processing time and encryption technology will be published. First Deposit Bonus: this is a bonus that match your first deposit by a specific percentage up to a certain amount. Example: 100% up to £/€100. It’s common that your first deposit bonus also will give you an additional bonus treat like a number of extra free spins on a specific video slot that will be added to your player account such as 100% up to £/€100 + 50 free spins in Starburst. 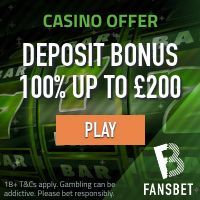 No Deposit Bonuses: in recent years it’s very common that casinos offer new members a No Deposit Bonus which will be active as soon as the casino account has been registered successfully. The no deposit bonuses are usually made up by either a small amount of bonus cash (£/€10) that can be spent by playing different casino games, or by a number of free spins which will be available in a specific video slot game, often referred to as No Deposit Spins, (10 free spins in Starburst). However, the no deposit bonuses are often subject to high wagering requirements/play through requirements and the max winnings are often capped at a certain amount (max cashout from winnings is usually £/€20). Wager Free Bonuses: the concept of Wager Free Bonuses is very new and in some ways a very beneficial bonus for players. This form of bonus is often structured as a deposit bonus but instead of getting bonus cash, the player will receive a number of free spins. The winnings from these free spins is NOT subject to any wagering requirements and therefore paid out as real money to the player account. The wager free bonuses makes it easier and more fun. Players doesn’t have to bother about wagering requirements or limited bet amounts – just real cash – easy does it. « Mega Moolah Jackpot Now Over 14 Million Euro (+12.5 Million GBP)!